For nearly 10 years, the Minnesota Pork Producers have asked me to edit and format 15 or so chef recipes for publication in their annual Taste of Elegance cookbook. Part of the MPP’s annual meeting, the Taste of Elegance brings local high-end chefs together to show off their talents in creatively cooking with pork. The book is distributed at the Taste of Elegance event, where each chef serves up samples of his or her contest entry to everyone who happens by. A lot of pork is eaten that night. Each chef has a booth and each year the chefs get more creative with their set up. My favorite so far is Chef Peter Christensen’s booth at this year’s event. Chef at Woolley’s Restaurant in nearby Bloomington, he tripped his booth out county fair-style, complete with cotton candy. I enjoyed his bourbon-cured pork loin and amazing smoked peach ice cream. But the runaway hit for me was his bacon cotton candy. Chef Peter was a prince to share his bacon cotton candy recipe with me, though I have yet to make it. His advice to “use an area that you can easily clean (garage or open area)” makes me think I need a bigger stretch of time for the project than I have available right now. 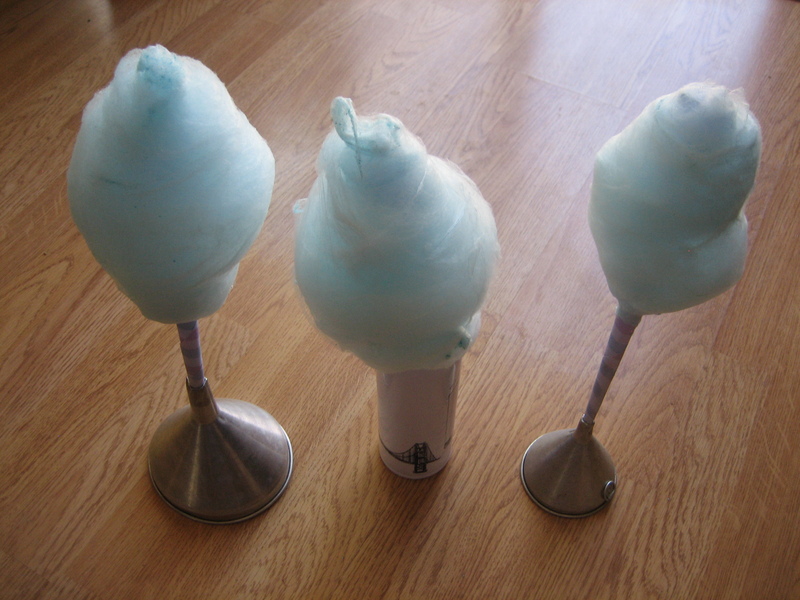 But making bacon cotton candy is absolutely on my list. 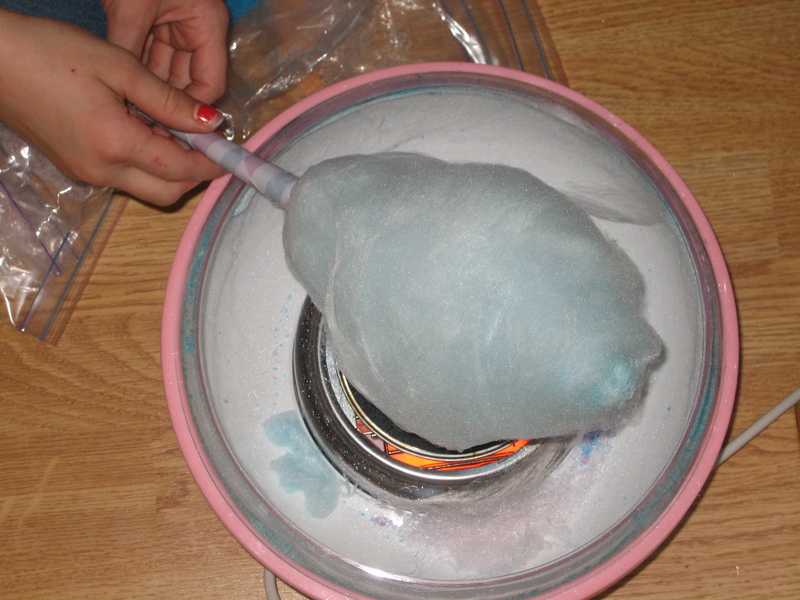 In the meantime, I’ll continue to whip out the cotton candy maker for birthday parties, sleepovers, rainy days, and whenever else smiling is encouraged. We threw my daughter a 6th birthday party last Saturday, complete with cupcakes, cotton candy, and homemade ice cream. The weather cooperated, which meant the 16 guests (had a few last-minute invites) had the run of the backyard. 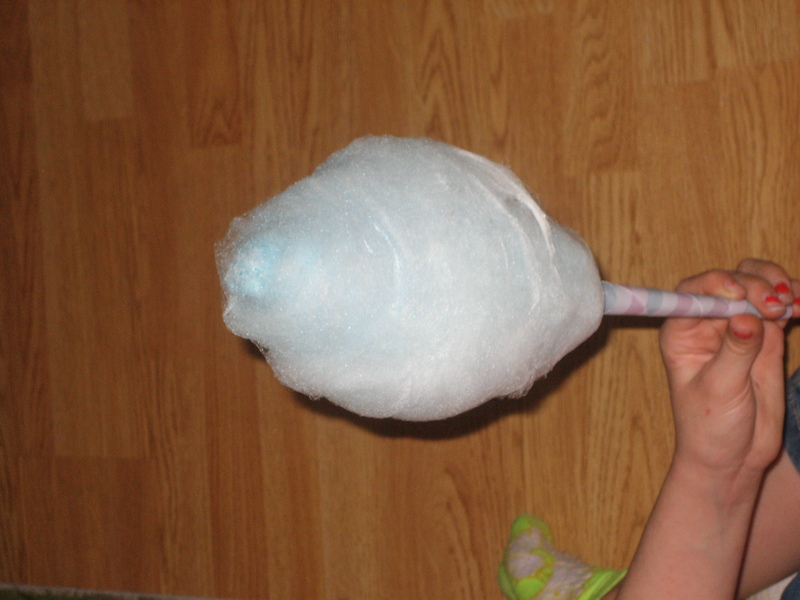 The kids wiped us out of dollar-store prizes playing carnival games; they also ate heartily. I had high hopes that the baby carrots and red grapes would be popular, but they were merely nibbled on. 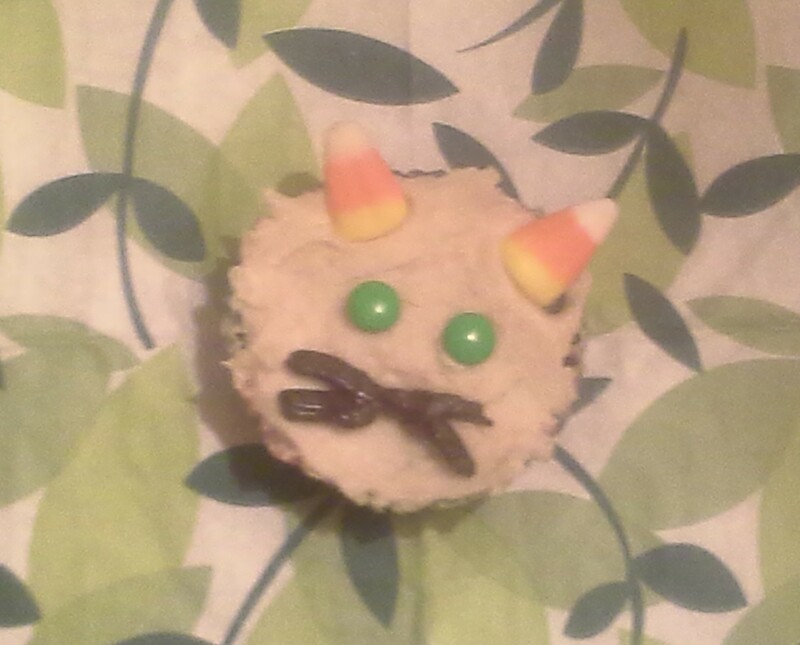 When the cupcakes, ice cream, and cotton candy finally made their appearance, they were quickly gobbled. I promised photos of the ice cream (which was indeed amazing), so here are two. My cotton candy maker gets mention in a previous post. 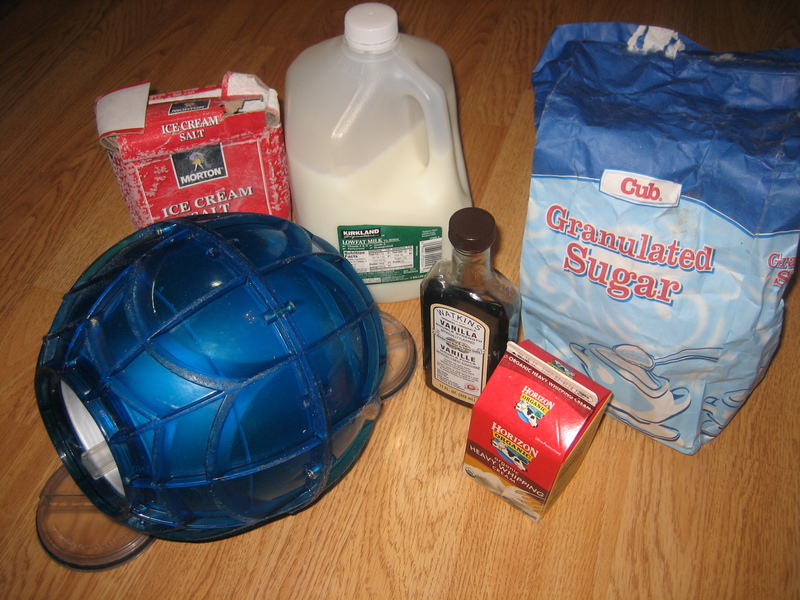 I’ll put another kitchen toy to good use at the party: our “soccer ball” ice-cream maker. 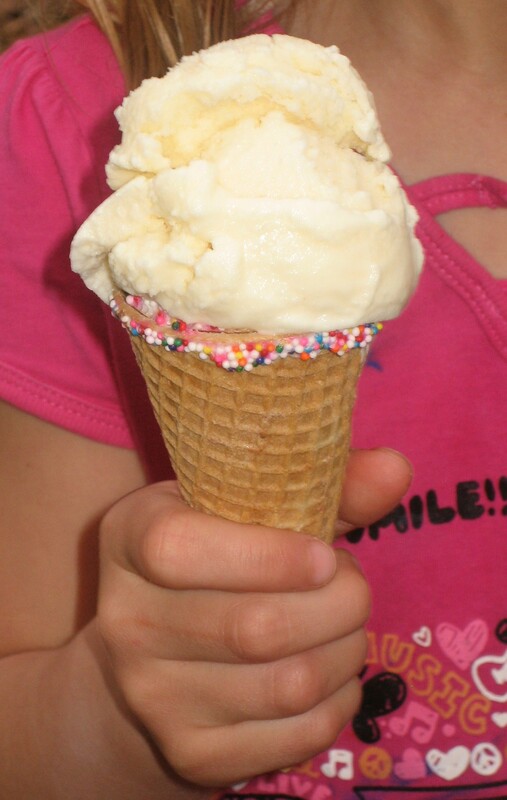 Anyone who has tried homemade ice cream knows how amazingly creamy and sweet and rich it is. There’s no comparing it to store-bought. Why, then, do I make ice cream by running around kicking a ball for nearly 30 minutes? A lot of work, yes, but it’s a fun party activity for kids–they seem to have endless energy. It’s a good way for grown-up kids to make ice cream, too, as you work off some of the calories you’ll be inhaling when the ice cream is done. Here’s how it works: Ice cream ingredients go in one end of the ball; ice and rock salt in the other. 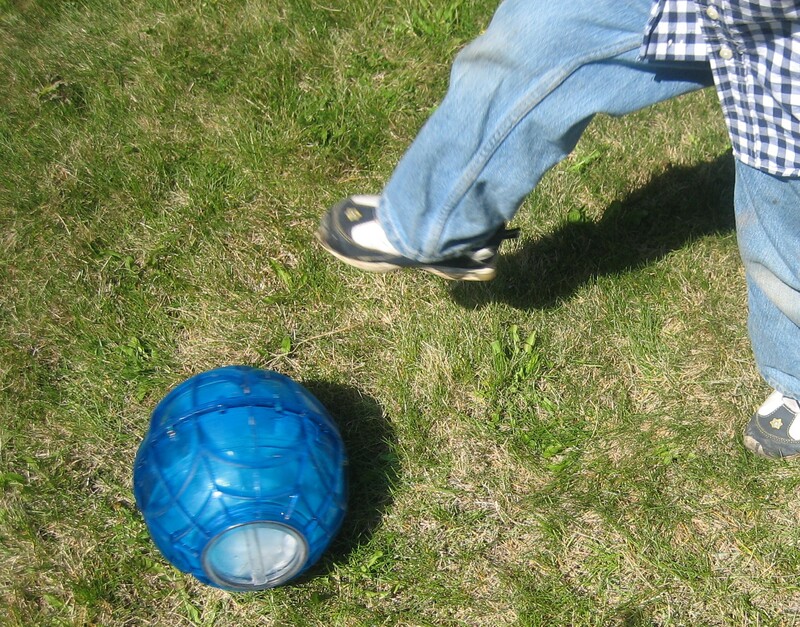 The lids are sealed, then the ball is kicked, tossed, and rolled for 10 minutes or so. Next, it’s break-time as the frozen cream mixture is stirred to mix and fresh ice and salt are added on the other end. The lids are resealed and it’s another 10 to 15 minutes of shaking, etc. before the ice cream is ready to enjoy. 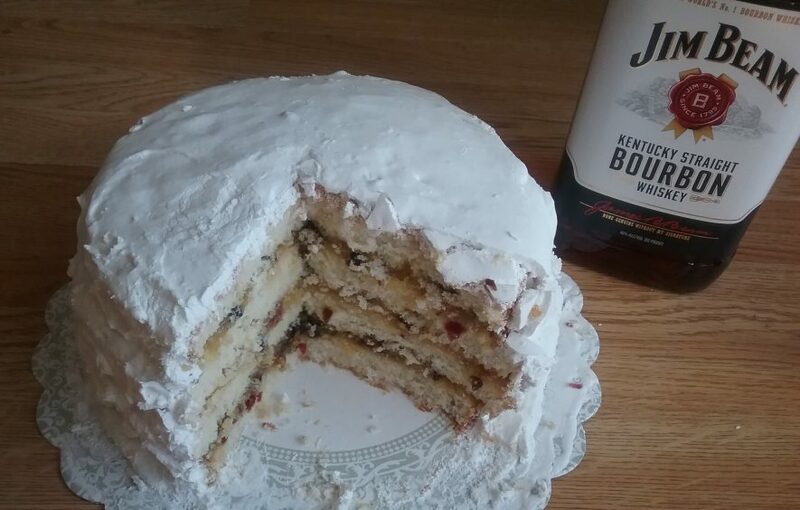 Tonight I have ingredients, equipment, and a recipe, but the final product has yet to be made. I’ll post pictures of the ice cream and cotton candy in the near future. But now, I need to get some sleep. I’ll need to be well-rested when the circus-goers take over my backyard. No eggs in this recipe. Think of the fun you could have with stir-ins: cinnamon, mini chocolate chips, colored sprinkles, crumbled candy bars, crushed cookies, fresh fruit. In bowl, combine all ingredients until blended. Transfer to ice-cream maker. Continue according to ice-cream maker instructions. *The original recipe called for 1 quart cream, but this ice cream was way too rich. I played around with types and ratios of dairy and this is what I like best. Half-and-half (even fat-free) can also stand in for the whole milk.